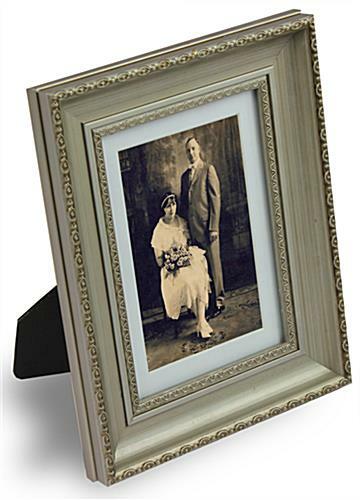 These Silver Picture Frames are Great in Any Setting! This Display has a Sleek Silver Finish! These Silver Picture Frames are Available online Today! 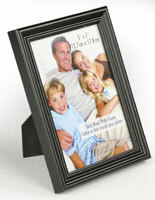 Media Size: 4" x 6" / 5" x 7"
Glass covers keeps pictures from being damaged. Shiny antiqued-silver finish enhances any print. 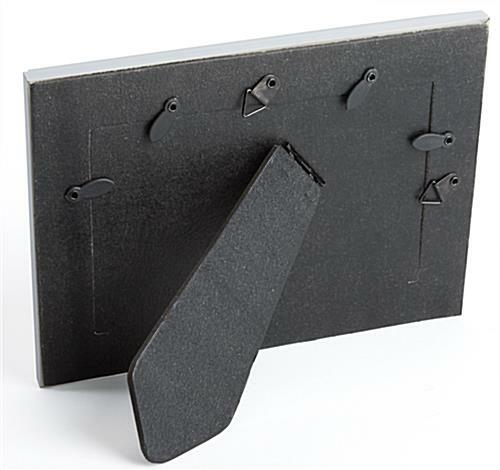 Easel stand and mounting hooks for horizontal or vertical display. Decorative design stands out and complements any photo. 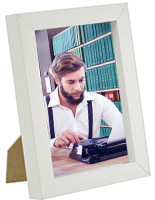 These silver picture frames are perfect for any environment. With an ornate design, on these photo holders it's easy to impress. 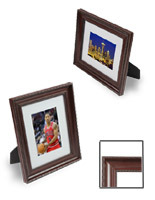 These silver picture frames that are matted have adjustable frame sizes. With the mat in place photos can be displayed up to 4" x 6", and when it is removed the frame can hold pictures up to 5" x 7". 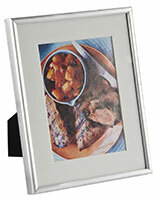 This silver picture frame is also very versatile. Users can display the holders either on countertops or mount to the wall. 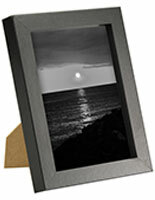 The stand also allows this silver picture frame to be displayed either in landscape or portrait format. 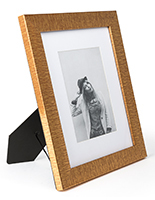 This photo holder looks great with an ornate finish. 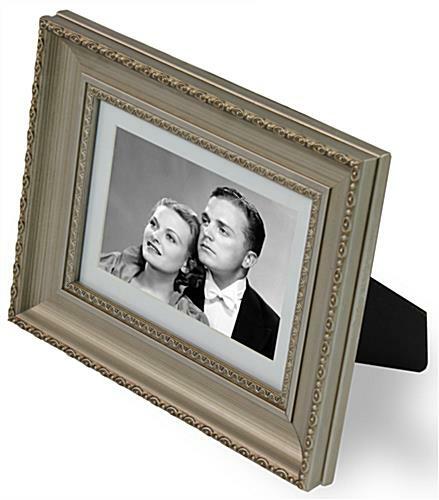 This unique silver picture frame has a fanciful design that wraps around the entire frame. The photo holder is made of wood but has a metal looking finish. The prices of these silver picture frames make them hard to beat and a great value. 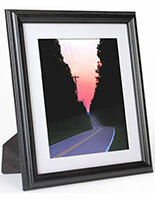 Give these photo holders as gifts at weddings, graduation and birthdays. This silver picture frame is a very uniquely designed frame that can look great in any setting. With this style holder it is easy to decorate and to improve any setting. 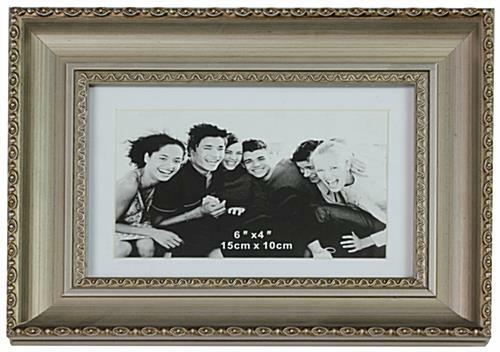 This silver picture frame is a must buy and can improve your photo collection instantly. 32.0" x 78.0" x 14.4"